James Richard Fields, of Greensboro, was born on January 16, 1935 to Mable and Jesse Fields. He passed away on October 22, 2018 surrounded by loved ones. Funeral service will be held at Southside Baptist Church, 1001 Greenhaven Drive in Greensboro at 1:00 pm on Wednesday, October 24, 2018 with visitation immediately following the service. There will be a private family graveside at a later date. Jim graduated from Greensboro High School in 1953. He worked in the mechanical contracting field for various companies and was president of Superior Mechanical Services. Inc, which he cofounded with Tom Dixon, his brother-in-law and friend. He loved his work and always gave it his very best. He had a strong work ethic and instilled that in his children and grand children. On July 24, 1954, Jim married Barbara Dixon of Greensboro, NC and had four sons, Jim and wife Nancy, Charlie and wife Emily, Andy and wife Kathy, Ray and wife Tracy, and daughter Carole and husband Ken Gibson. Jim loved his family and always cherished any time spent with those he loved. He will be remembered as a wonderful father, husband, son, brother, uncle and the best Papaw ever. 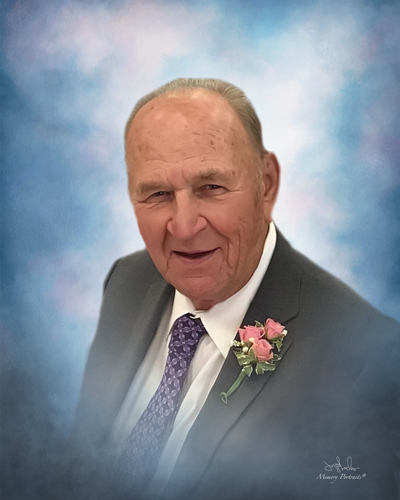 He was an avid golfer and thoroughly enjoyed playing with his family and good buddies. Jim leaves as his legacy his children and grandchildren Matt, Amanda, Lauren, Sandra, Ryan, Katie, Andrea, Josh, Molly, Drew and Claire, his great grandchildren, nieces and nephews and a sister Helen Gall and husband John, brother Bobby and wife Emilie and sister-in-law Joyce Dixon. He was preceded in death by his brother Jack Fields, sister-in-law Jane and brother-in-law Tom Dixon. In celebration of his life, please consider donating to one of the many charities he supported, such as St. Jude Children's Hospital or Baptist Children's Home of Thomasville, NC. George Brothers Funeral Service is assisting the Fields family with funeral arrangements.